Halloween—one of the most thrilling and festive times of the year in Utah. 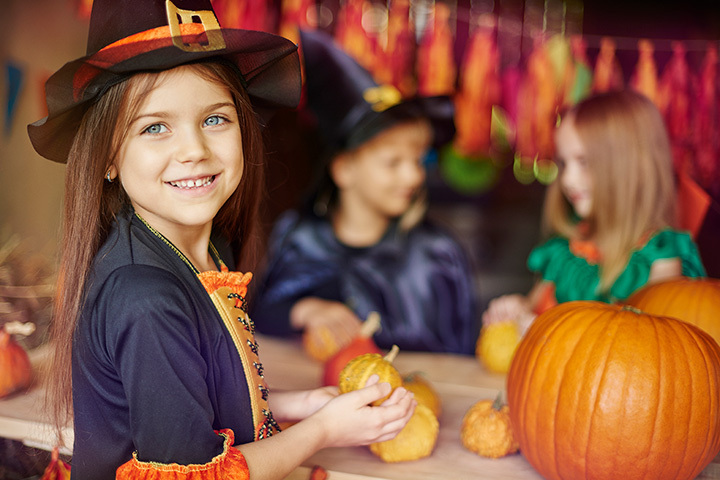 Throughout the month of October, prepare for All Hallows’ Eve with old-fashioned candy shops, terrifying true haunts, spooky attractions, and whimsical theater productions. Here’s how to have the ultimate Halloween in Utah. Pop’ n Sweets is a candy store that sells old-fashioned and international candy, as well as a large variety of artisanal soda pops. If you’re looking for a big bag of fun-size candy bars, this is not the place to go, but if you want something more unique (and typically more delicious), Pop’ n Sweets—which started in Provo, Utah—now has five locations in the state. If for some inexplicable reason you find that you haven’t had enough sugar on Halloween night, Pop’ n Sweets also sells delicious floats with your choice of soda and local ice cream. The Nightmare on 13th has been an immensely popular Halloween destination for over 25 years. The haunted “house” is not only popular in Utah, but attracts visitors from across the United States. Of course, the haunted attraction’s popularity also translates to slightly steeper price points, but the ingenuity and uniqueness of the Nightmare on 13th makes it all worth it. There are plenty of Salt Lake City bars with hilariously spooky Halloween celebrations, but the Royal stands out with its all-black interior and tempting grub. The Royal hosts myriad Halloween themed celebrations leading up to their main Halloween event. On October 31, you can expect a lot of dancing, good drinks, and an ambiance conducive to the Halloween spirit. If you’re really in the mood, come in your best Halloween costume, and you could win an awesome prize. Had an amazing time taking photos for the bands whilst jamming out to reggae at The Royal! Taylor Maid is an entertaining conglomerate of beauty products, costumes, Halloween masks, wigs, costume make-up, and kitsch. Basically, it’s the best place ever. If you’re looking for a costume last minute, this place has you covered. Halloween is their specialty, so you can usually get everything you need for your costume in one place. Looking for real vampire teeth, creepy eye contacts, or an otherwise essential part to a freakishly realistic costume? Head to one of Taylor Maid’s locations. The Taylor Maid team is prepared for Comic Con, are you? Come grab one of our new deluxe Legend of Zelda swords!! The McCune Mansion in Salt Lake City may seem inconspicuous to passerby. If anything, it’s a beautiful and historic building that adds architectural richness to the state’s capital. Completed in 1901, the mansion has been through quite a lot in its 116 years. Inevitably, this would mean it’s probably home to some ghostly entities. Even though the mansion is now used as a venue for wedding receptions and private events, it regularly attracts ghost hunters and those looking for spooky entertainment. If interested, you can schedule a guided tour of the mansion two weeks in advance. If you want to visit haunted sites like McCune mansion but don’t want to do it on your own, Grimm Ghost Tours is an award-winning tour agency that will give you the Halloween experience you crave. The tours vary, so if you’re not interested in haunted mansions, consider the agency’s newly offered tour of Utah’s famous Fort Douglas Cemetery. In recent years, Sundance Mountain Resort has grown famous for its full moon lift rides. Around Halloween, Sundance spices things up a bit by offering a Halloween-themed lift ride. You can enjoy Sundance’s beautiful scenery from a bird’s eye view with a touch of Halloween from costumed lift operators and actors. Definitely a different sort of Halloween-related activity, the Castle Valley Gourd Festival will surely appeal more to those who are less interested in ghouls and more interested in harvest traditions. In other words, this will appeal more to the “scaredy-cats” out there who aren’t in desperate need of thrills. And although the festival doesn’t technically take place on Halloween, it is a wonderful way to get outside and enjoy the crisp fall air, all the while relishing the beauty of Mother Earth’s bounty. Operated by the CLAS Ropes Course in Provo, this Halloween “Cruise” is a nice dose of family-friendly fright. The cruise takes you on the Provo river and through the premises of various Halloween related figures, including pirates, ghosts, and witches. This year, the Halloween Cruise will feature hundreds of hand-carved pumpkins, Halloween music, and a hefty dose of Halloween candy. Lasting for about 25 minutes, the tour is just as entertaining for adults as it is for children. A popular bar and restaurant in Salt Lake City, Gracie’s also happens to throw a mean Halloween party. Nevertheless, this isn’t the typical, clubby, Halloween experience. It’s a slightly more sophisticated way to enjoy Halloween, with live performances, party swag, and a $1,000 cash grand prize for best costume.